You can use these 10 meter LED white rope lights both inside and outside. With the multi actions 12mm 3 wired rope lights,they look wonderful wrapped around a banister rail or in an entrance. It is great choice for your Christmas, wedding, special event and party decoration. 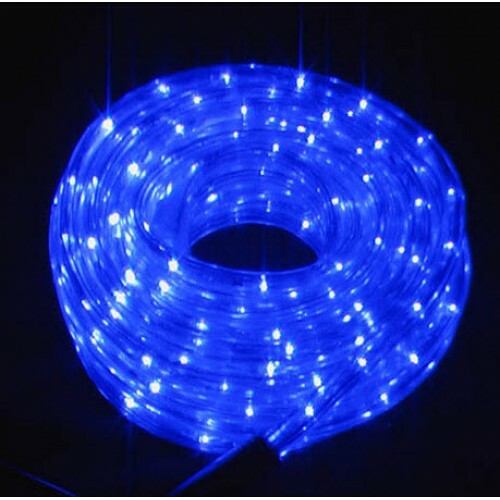 These 10m LED Blue rope lights will mound to any shape. LED white rope lights are our most popular colour so please order early to avoid disappointment. 10M LED Christmas Red Rope Lights with 8 Functions You can use these 10 meter LED&nbs..